Five Effective Parenting Methods - Mummy's Gone Mad! | Mummy's Gone Mad! Effective parenting includes everything starting from making sure that your children are fed well to developing them as independent thinkers as well as hard working citizens. There is nothing like “an absolutely best way to effective parenting”. This is because children that grow up without following strict bedtimes but are encouraged to do well at school might perform as well as those kids of those parents who ensure that their children go to bed at the same time each night. However, five effective methods of parenting are explained in this article and what is common among these ways is that parents should love their kids and think of their best interests when it comes to meals, studies and play time. The first requirement to be met for effective parenting is providing a safe, healthful as well as happy life to your kids. Parents have to ensure that the home is clean and safe, meals are nutritious, children have sufficient clothing and they are protected from diseases. It is not enough if parents ensure that their children go to school and get back home safely. The children need to be supported in so as to ensure that they perform well in school. This is one of the most effective parenting methods. Kids learn from what their parents do and not from what they say. Therefore, parents must set an example for their children in all kinds of situations. Parents must not lose their composure even if they are frustrated or when faced with a problem. If parents handle all issues calmly, their children will deal with challenges in the same manner. If parents lose their cool when faced with challenges, children with think that it is the appropriate way to respond. Children should be taught to be gracious winners in competitions, show politeness and respect to others, careful drivers and eat a balanced diet and exercise well. 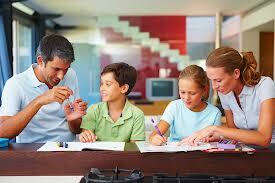 It is a good idea to read together as a family and model good behavior so that the children emulate the same. It pays to shower affection on children. Parents should let their children know that kind words and hugs are very important. Parents can make good-night hugs as a bedtime routine. Parents should spend time with their children, make it known to them that they enjoy their company as well as appreciate their humor sense or thoughts and ideas on several subjects. Parents should be sensitive to their children’s needs and provide positive reinforcement in plenty. One of the mistakes that parents often commit is being inconsistent as far as rules and discipline are concerned. It does not mean that there can’t be exceptions, but parenting will be more effective if parents define the rules and stick to it day after day. Parents must listen to their children when they say that some of the rules are unfair. However, parents must be firm if they feel strongly about it. Similarly, parents must keep in mind the age of their children when establishing rules and expectations. Parents can expect their five year old child to say “thank you” and “please”, but not their two year old child. This is one of the critical elements of effective parenting. Parents must encourage their children to think and act independently. Training in this area can be started by encouraging children to participate in chores as well as other household activities. Young children may pretend that they are doing the work that their parents are doing, but it is a good idea to allow such imaginative play to flourish. Children will soon be helping them in the kitchen or in the garden. As far as school work is concerned, parents should allow their children to make decisions about projects and homework. However, their work should be monitored and guidance provided where appropriate.